Is your smile as beautiful as you’d like to be? Does it make you feel confident and attractive? If you’ve been peering into the mirror thinking your smile could use a little extra boost, you’re not alone. Cosmetic dentistry is one of the most sought-after cosmetic enhancements available today. Even more popular than cosmetic surgery (not to mention less invasive and less expensive!). Advancements in technology have made many cosmetic procedures more affordable, widely available, and most require just a few short visits. 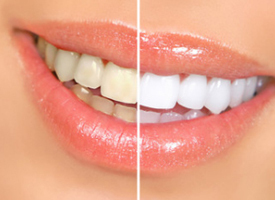 For example, we can now whiten teeth up to 10 shades. With porcelain veneers, you can receive a brand new smile in just two appointments. Dr. Murphy offers a variety of cosmetic dentistry services and can help you achieve the smile you’ve always wanted, in less time than you think!